Every small group needs a coach to be healthy, grow, bear fruit, and eventually reproduce themselves. I have tried every coaching model and system I could find, and I made up some of my own along the way. Several times I totally eliminated my whole coaching structure and started over with something new. All I wanted was something that actually worked with voluntary leaders and didn’t take up most of my time. I used this book as a resource for training the coaches under my care and I also gave it to directors who also oversaw coaches. It’s the most comprehensive of the coaching resources and will provide you plenty of material for developing your coaches, continually training them, and resourcing them. I bought these little books by the dozens and gave one to each coach. This book is (intentionally) concise, an easy read, simple to implement, and Christ-centered. Because of the book’s size, readability, and practicality, I knew I could get my coaches to read it, and when they did, they took more ownership in the process. I’ve used this book as an additional resource for equipping and continuing to develop my coaches. I used many of the very practical strategies, ideas, and tips throughout the book, conveniently placed in call-out boxes on almost every page. I’ve also quoted Comiskey quite a bit from this book. Often, when I’d meet with my coaches—either together in coach clinics or one on one—I’d use material from Comiskey’s book. Why is this book on a list with coaching resources? Because I gave one to each of my coaches. I considered this a big investment in these vital people in our small group ministry. This book was life-changing for me and I knew it could be the same for them. Truth is, if the private worlds of my coaches were disordered, I couldn’t expect much from them in coaching our leaders and groups. My prayer and plan was that upon reading this book, my coaches would begin to naturally overflow God’s wisdom and power out of a well-ordered heart. I also used parts of this book in my one-on-one meetings with coaches. New Leaders are full of questions and unsure of themselves; Unhealthy groups are off track in one or more of our 7 Vital Signs of a Healthy Group and need help getting back to health – Stay in close contact and give all the support they need: meet with leader, visit group, phone calls, emails, etc. Excited, ready for direction and encouragement, good enough to be dangerous! 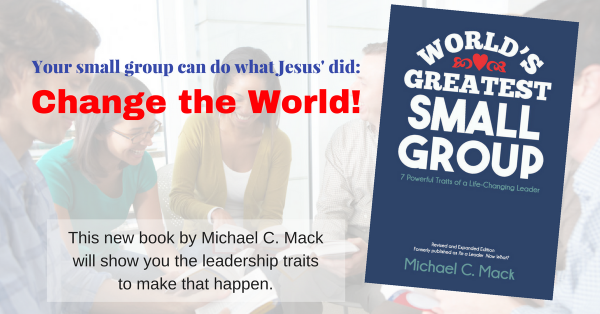 – Coach them how to be a healthy, Christ-centered, disciple-making group. Know what they are doing but not immune to conflicts and issues – Touch base regularly though email, phone calls, texts, or Facebook; let the leader tell you which. Been at this for a while; they may say they don’t need to be coached, but still want to know where to go when issues arise – Leave them alone for the most part; leave a voice mail about once a month and offer prayer for them.